A Doncaster service which supports the recovery of people from drug and alcohol addiction is taking part in pioneering research into the treatment of mental health problems and substance dependence. The Behavioural Activation Trial is an international collaboration between Aspire Drug and Alcohol Service, run by Rotherham Doncaster and South Humber NHS Foundation Trust (RDaSH) and registered charity The Alcohol & Drug Service and the RDaSH Grounded Research team, together with the University of Sheffield and The University of North Carolina at Chapel Hill, United States of America. Behavioural Activation is a psychological treatment based on the notion that making planned changes to daily activities can improve mood, wellbeing and control impulsive behaviour. Previous Behavioural Activation studies have shown that it is an effective treatment for major depressive disorder. Researchers from RDaSH and the two Universities are testing Behavioural Activation as a treatment option for people with drug and alcohol addiction. The research project is being led by Sophie Pott, from the University of Sheffield, and involves staff from Aspire Drug and Alcohol service being trained to deliver Behavioural Activation to people with depression and addiction problems. 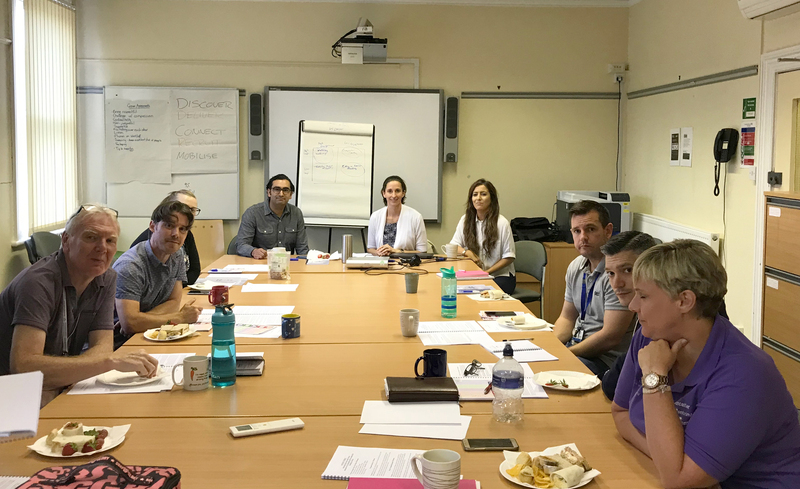 Training was led by Professor Stacey Daughters, an expert in clinical psychology and addictions research at The University of North Carolina at Chapel Hill, together with Dr Stephen Kellett and Dr Jaime Delgadillo, based at the Sheffield Clinical Psychology Unit. This randomised controlled trial aims to compare the levels of depression and substance use between people receiving Behavioural Activation treatment and those on the usual care for substance dependence. If you or someone you know is experiencing drug or alcohol issues and want to talk in confidence please visit Aspire’s live chat at: www.aspire.community, or ring 01302 730956. (Left to right) are: Dr Jaime Delgadillo, RDaSH Clinical Research Fellow in Wellbeing; Professor Stacey Daughters, at The University of North Carolina at Chapel Hill; Sophie Pott, University of Sheffield and Aspire staff at the training event.